This spring members of the Virginia-Highland Civic Association Planning Committee met with City of Atlanta transportation planner Josh Mello to review a number of the transportation initiatives that have the capacity to impact our neighborhood in the next decade. Some of these proposals – the plans for Ponce de Leon, the Connect Atlanta plan, and the BeltLine – have been openly discussed with formal public input. 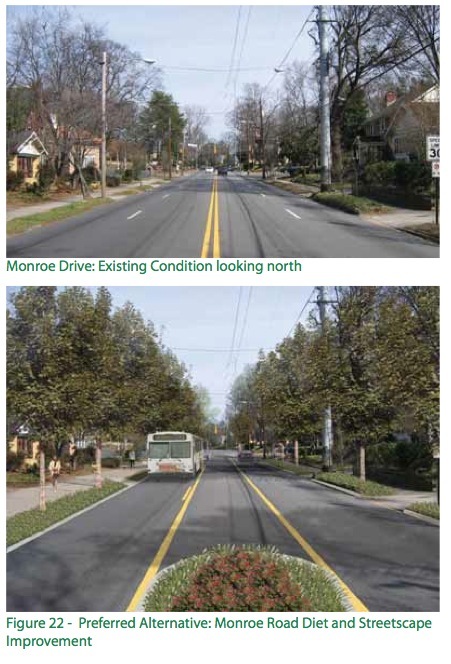 Others were undertaken from more focused perspectives; the Midtown Alliance is studying 10th Street, Piedmont, and Juniper Roads and the Piedmont Heights Neighborhood Association last winter completed and adopted a plan that envisions (among other features) changes on Monroe west from Ansley Mall. Each of these efforts has its own goals, levels of details, projected funding, timelines, relationship with one another, and probability of implementation. Some of the resulting impacts on traffic and transportation in Virginia-Highland are predictable; others are not. Given this context, VHCA is forming a task force to develop a comprehensive transportation plan for our neighborhood. The plan will complement city and regional plans (including BeltLine planning) to ensure that Virginia-Highland remains walkable, livable, and cohesive. The transportation plan will seek to address both new and longstanding traffic and transportation issues that impact the quality of life and viability of Virginia-Highland as a single-family neighborhood. An initial list of specific concerns voiced by citizens in the last year includes volume and speed of traffic on Monroe, similar challenges on Briarcliff (including the need for new and improved crosswalk access to SPARK), cycling and pedestrian safety and usage on the BeltLine, the impacts of the upcoming opening of Ponce City Market, future new commercial development along North Highland in the Neighborhood Commercial Districts, traffic volumes and parking issues around Inman Middle School, and cut-through traffic on secondary roads within the neighborhood. Without doubt, there are others. We have asked longtime VaHi planning consultant Aaron Fortner of Market + Main to assist us in developing this plan. Fortner has a graduate degree in City Planning from Georgia Tech and spent five years working at the City of Atlanta’s Planning Department before starting his own firm. At the city, he was part of the team that wrote the original Neighborhood Commercial zoning guidelines, and he led our neighborhood’s successful adoption of that zoning along most of this neighborhood’s North Highland Avenue commercial districts. Market + Main is currently in the process of developing a transportation model for Candler Park. The proposed Virginia-Highland plan will be based on a combination of public input and review and professional planning approaches. It will occur in phases, with the first beginning late this summer. The final product will be ready in the first quarter of next year. The first step is gathering public input – both online and in public forums – on existing conditions and issues. This process will identify elements that are functional and desirable, and problem areas that may require action in order to maintain the livability of the community. There will be a variety of ways to contribute to this effort, and we would like to hear your concerns and thoughts on methodology and content. If you are interested in serving on the VHCA Transportation Task Force, please send an email to Jenifer Keenan at jkeenanvahi@yahoo.com by July 25 with your name, address, background in Virginia-Highland, and a brief – one to two sentences – description of what your interests are and why you would like to be involved. 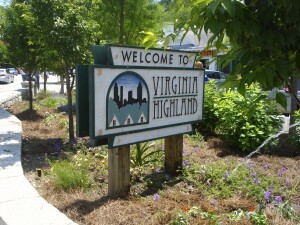 Bill Seay from the Piedmont Heights Civic Association (PHCA) will make a brief presentation on that group’s proposed new master plan at this month’s regular VHCA board meeting. The meeting is scheduled for Monday January 14 at 7 PM at the public library on Ponce de Leon Avenue. Piedmont Heights, Virginia-Highland, Morningside/Lenox Park, and Lindridge/Martin Manor are the neighborhoods that comprise NPU-F. 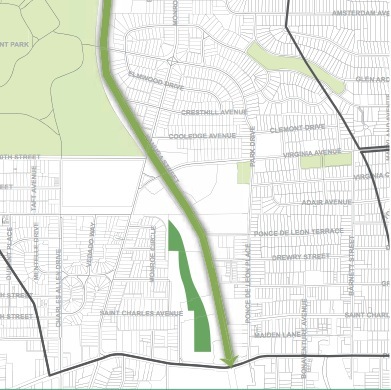 The PHCA defines Piedmont Heights’ boundaries as being roughly I-85 on the north, the (future) BeltLine on the southwest, and Piedmont Road on the south and east. The association is seeking NPU approval for their master plan, and part of that process involves giving adjacent neighborhoods the chance to hear about the plan first-hand. The plan merits our attention, partly because the VHCA Planning Committee has been examining the planning implications of traffic issues on our major streets for some time, and specifically because the PHCA’s plan supports the BeltLine-adopted future recommendation of reducing Monroe Drive from 4 to 3 lanes north of Piedmont. The PHCA has had to contend with Monroe as a choke point for decades. Their thinking is shifting away from expanding that street’s capacity and toward trying to making it more pedestrian and cycling-compatible, characteristics it emphatically does not possess at this point anywhere along its length. Given the new pedestrian/bike usage and increased crowds at the new BeltLine connection with Monroe in VaHi, this challenge is increasingly front and center for us as well. BeltLine usage is likely to increase dramatically this spring. As Monroe is currently the only formal entrance point the BeltLine trail from our neighborhood, pedestrian safety is a real concern. Click here for more details on Piedmont Height’s proposed master plan.